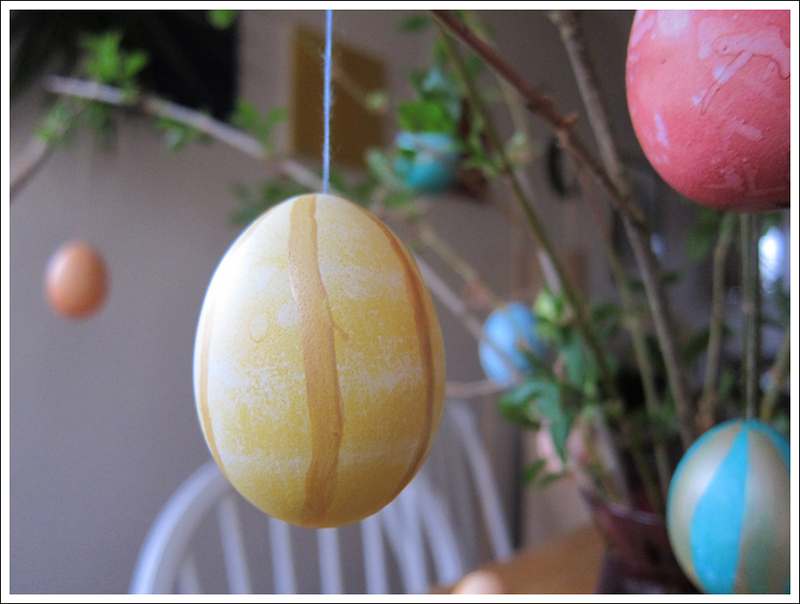 Select fresh white eggs and blow them out. Here’s how: 1) make a small hole in each end by tapping/chiseling with the tip of a sharp knife, 2) poke a toothpick inside one of the holes to break yolk, 3) then blow the egg white/yolk out into a bowl, 4) wash off egg and let try. 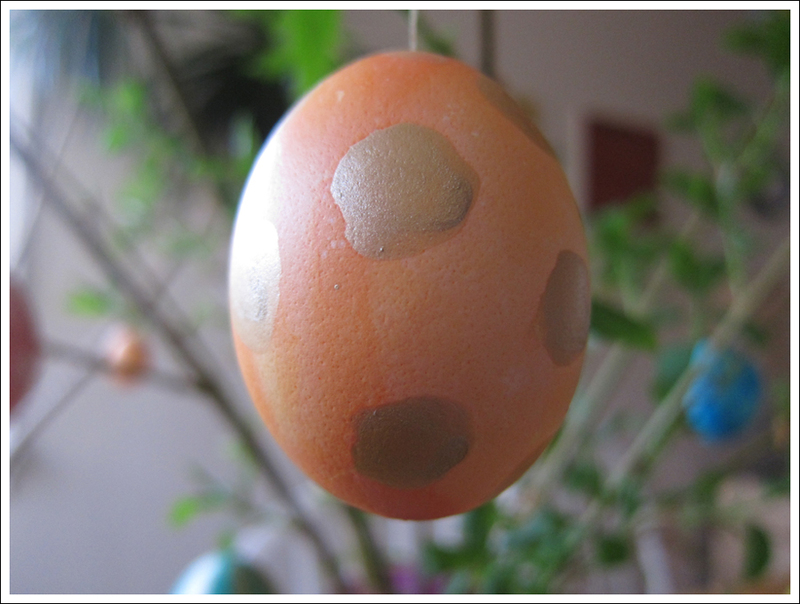 This is a tricky process and not recommended for kids – you should do this first and then you can have the kids help with dyeing the eggs. More tips here. 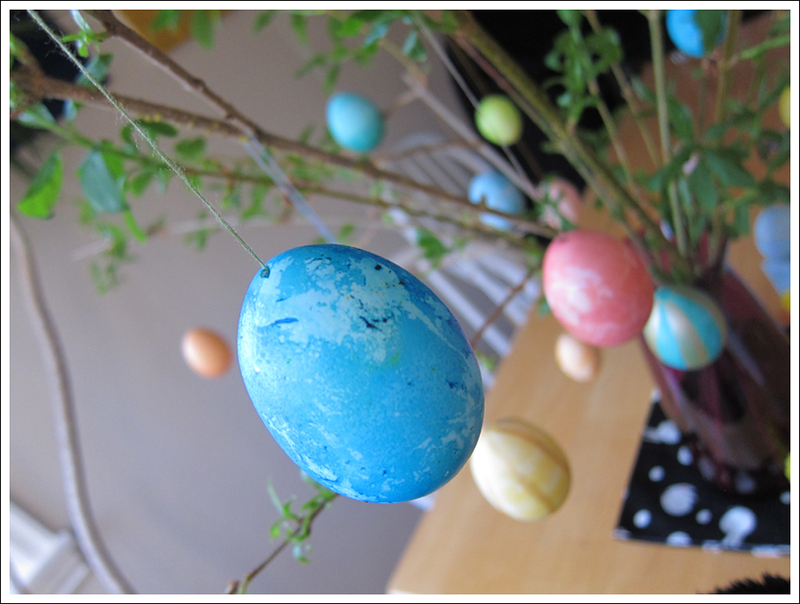 Dye eggs and decorate as you wish – some metallic paint brushed on dyed eggs is a fun way to add some sparkle or shine! 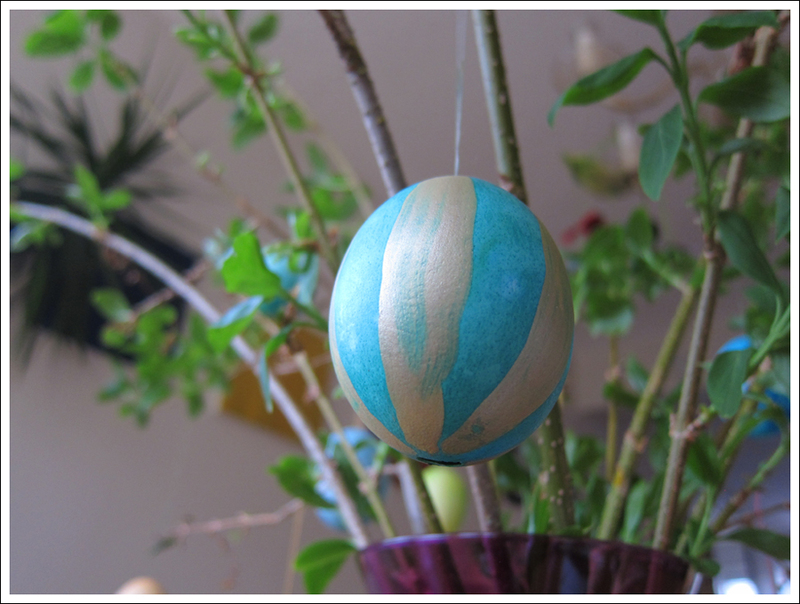 Hang by tying some sewing thread to a 1/2 toothpick inserted into the egg to create a stopper. 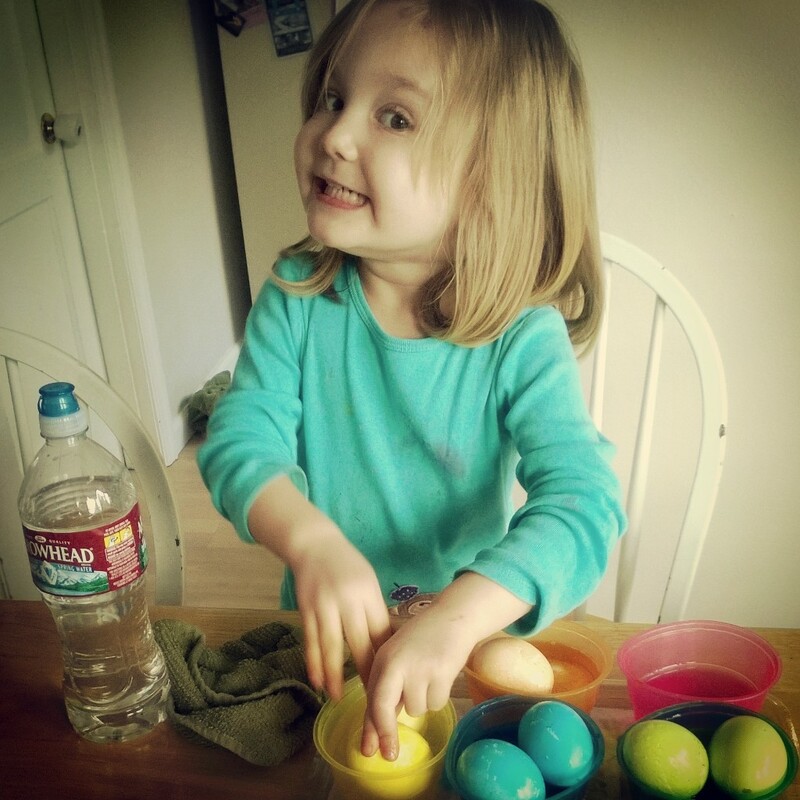 Ava quickly became a pro egg dyer! 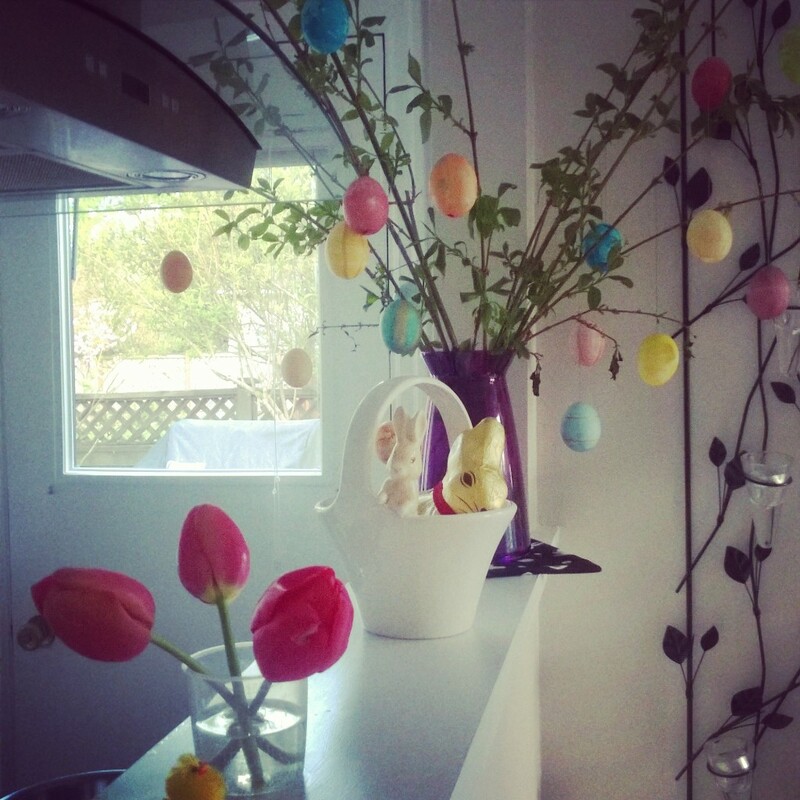 My Easter Tree via Instagram! 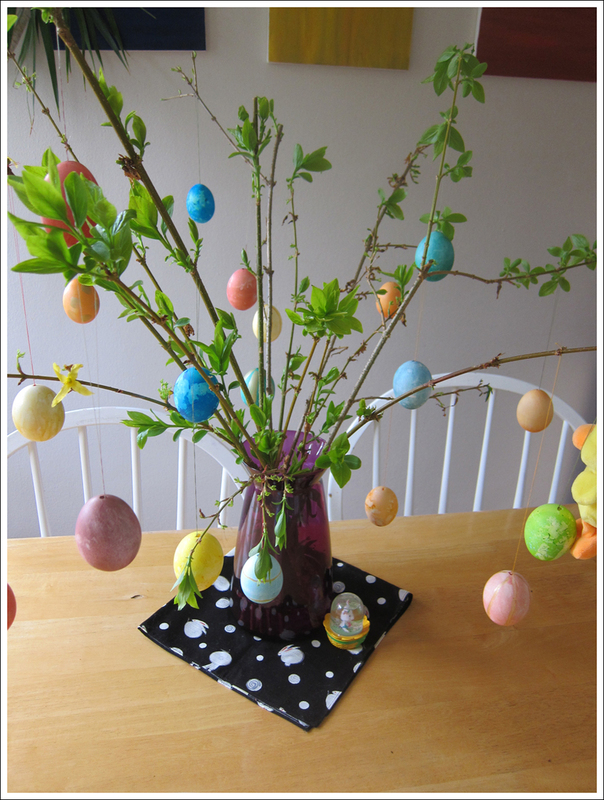 This entry was posted in Craft, DIY and tagged easter, fun, seasonal on April 25, 2014 by ebchr.